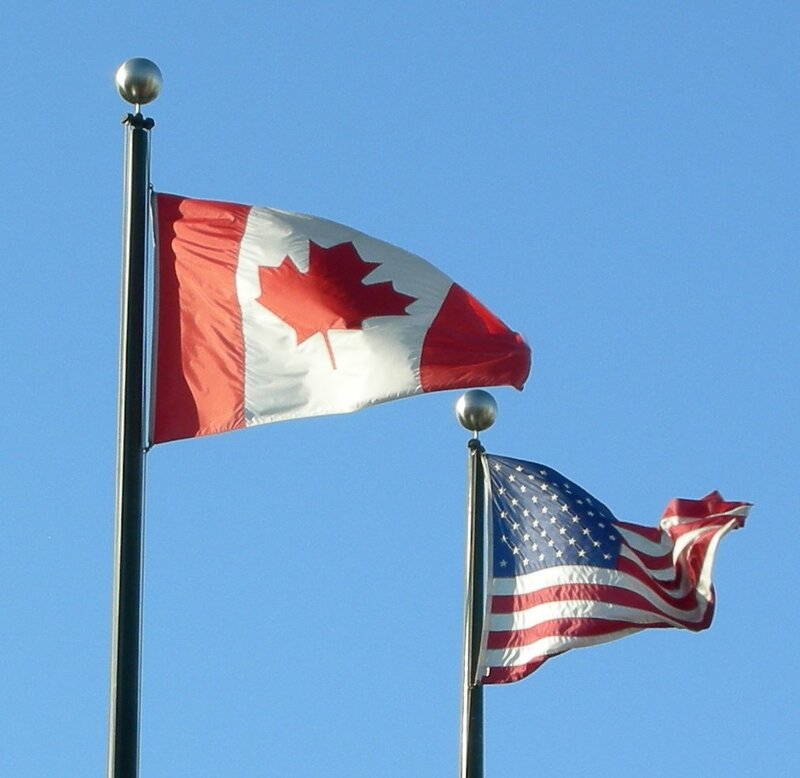 While much of the world is aware that today is America’s “birthday,” in commemoration of the adoption of the Declaration of Independence on July 4, 1776, considerably fewer know that “Canada Day” was celebrated this past Tuesday, July 1st, commemorating the British North American Act of 1867, more commonly referred to as the Constitution Act. Like in the US, “Canada Day” is a national holiday and is marked by celebrations and official government pronouncements, along with a flurry of articles and memes that both reinforce and challenge nationalist mythologies. For example, the Conservative government of Stephen Harper recently released the results of a national on-line survey of the top 10 Canadian “heroes,” which was commissioned for the lead-up to Canada’s 150th anniversary in 2017. It did not go unnoticed that this list was exclusively male, with only one person on non-European origin (environmentalist David Suzuki, no. 6), and was immediately challenged with an alternative list of top 10 Canadian “heroines.” Likewise, the inclusion of John A. MacDonald (no. 8), Canada’s first Prime Minister, was contested by First Nations groups who pointed out the very active role that he played in the forced starvation (which has been called a form of genocide) of Native peoples as the then-British colony looked to expand its territory to the West. While some figures on the government’s list of heroes are widely respected, such as Terry Fox (no. 2), who ran 5,373 kilometres (3,339 miles) across the country with a prosthetic leg in 1980, to raise money and awareness about cancer, the inclusion of others seems more contingent on who was asked, how the question was framed, and on what prior assumptions exist in the nationalist imaginary as to what constitutes a “hero.” That retired hockey great Wayne Gretzky (no. 9) made the list likely reflects the preferences of an older, hockey-watching demographic, while astronaut Chris Hadfield (no. 5) only became a household name in the spring of 2013, after posting reports from space on social media forums like Facebook, Tumblr and Twitter. Prior to that time, very few had ever heard his name. These same social media platforms that challenged such “official” pronouncements of cultural heritage (in this case, revealing a patriarchal and Eurocentric bias), also reveal the temporal and constructed nature of representations of national identity. While the debate over “heroes” offers a useful example of the contingency of authority, especially when others are able to contest it, can the same be said for less contentious and more ingrained notions of identity, such as the well-worn trope that Canadians are polite? Is this, too, purely a social construction or is there tangible evidence to support such a claim? Is this nationalist myth grounded in national realities? Discussing this idea on a Facebook thread on July 1st in response to a satirical article, “How to Tell If a Canadian is Mad At You,” I was reminded of the inoffensive nature of the claim. In this sense, even if it is untrue in some or many cases, being labeled as polite does not tend to provoke a quick and heated rebuke. What also strikes me about this claim is that it is only (or at least mostly) meaningful when spoken about in relation to the US. Putting aside the tricky question of origins—the so-called “genesis” of this idea—it seems to be a commonly held perception among Americans and Canadians alike. While the claim that all Canadians as individuals are polite is logically absurd, as this would ascribe some sort of intrinsic quality or essence to “Canadian-ness,” the idea of the country itself, as a symbol, must surely have something to do with it? As with all symbolic discourses, markers of nationalist identity usually have some basis in social reality, though perceptions are contingent on such factors as the nature of the comparisons being made, along with competing representations and changing conditions on the ground. Compared to the US, for example, Canadian foreign policy has been relatively tame on the world stage–a perception that has no doubt been enhanced by such factors as Canada’s reputation as “peacekeepers” since the 1956 Suez Canal Crisis, by its former policy of providing safe haven for Vietnam war resisters and by its abstention from the Iraq war. Until recent years, it was almost a cliché to here about young American travellers, in Europe and elsewhere, sewing Canadian flags to their backpacks in order to avoid unwanted hostility on foreign soil. It is also true that Canada did not experience a “tea party” moment or a civil war, quietly breaking (most of) its ties to Britain with the 1982 Constitution Act. Perhaps this history partly explains why there is no strong libertarian movement in Canada and no mythos of “rugged individualism,” which finds its strongest expression in American gun culture, a curious (and frightening) phenomenon to many Canadians. Perhaps the absence an illegal immigration problem and a relatively successful multiculturalism policy have contributed not only to the perception of “politeness” but also a marked absence of hostility to so-called “foreigners,” at least in comparison to the US? Unlike the discourse on Canadian “heroes,” whose construction was easily contested by the ability of others to point out these contingent and biased representations, the more subtle and ingrained notion of “politeness” seems harder to shake, despite mounting evidence to the contrary that “Canada” ain’t so sweet. For example, not only did Canada overturn its peacekeeping reputation by engaging in active combat in Afghanistan, but it also limited asylum to war resisters from the conflict in Iraq, recently deporting Kimberly Rivera in September of 2012 after several appeals to stay in the country. Likewise, Canada’s climate change policies have received harsh criticism internationally as it is routinely ranked among the worst in the developed world. Like all (national) myths, which Roland Barthes defines in Mythologies as “giving historical intention a natural justification, and making contingency appear eternal,” (142) their appearance seems to have some basis in social reality, while their endurance is contingent on who is controlling their representation and with what or whom they are being compared to. While shifting social realities appear to be challenging perceptions of Canadian politeness on the international stage, including an unprecedented uprising of First Nations communities, who have always contested this myth, as long as Americans see Canadians as their quieter, gentler other, I’ll wager that the idea is likely to persist. And if I’m wrong, my apologies. This entry was posted in Matt Sheedy, Politics and Religion, Religion and Popular Culture, Religion and Society, Religion and Theory, Theory and Method, Uncategorized and tagged British North American Act, Canada Day, Chris Hadfield, David Suzuki, Declaration of Independence, John A. MacDonald, Mythologies, Roland Barthes, Stephen Harper, Terry Fox, Wayne Gretzky. Bookmark the permalink.